Journeying from Nairobi, this tour offers incredible wildlife viewing in the famous game reserves of East Africa (the Masai Mara & Serengeti), to snorkeling on coral reefs. 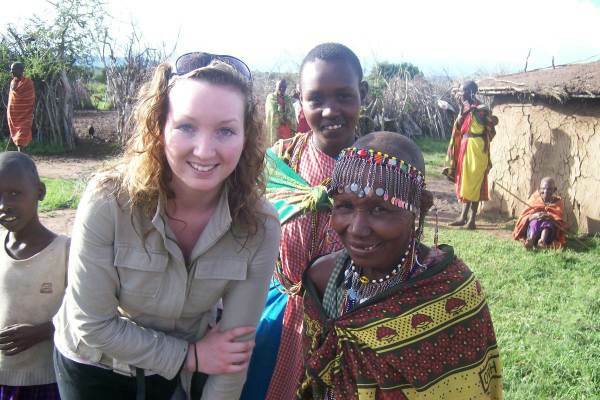 Visit a Masai community and explore ancient Stone Town - with its mix of African and Arab cultures. Soak up the sun on Zanzibar's famous white beaches or take a dhow trip on turquoise water sand snorkel on pristine reefs. . A popular beach and wildlife tour. We depart Nairobi early morning and head towards the Masai Mara National Park. This part of the adventure is conducted in smaller especially adapted game viewing vehicles. 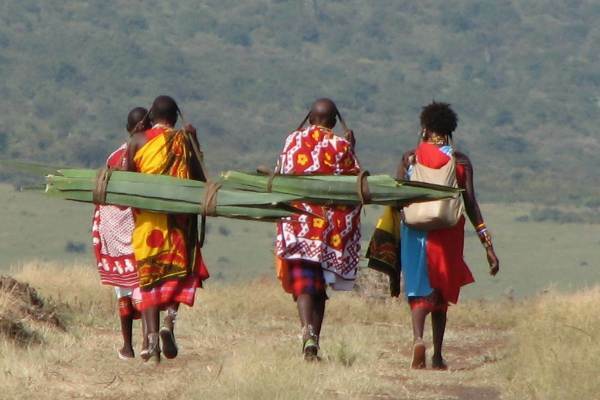 The journey to the Masai Mara takes in spectacular views of the Great Rift Valley. We set up camp on the edge of the park where we will spend the next two nights. We spend the next couple of days exploring this famous game reserve. Once again we transfer to smaller game viewing vehicles and head off for a fantastic wildlife experience. The day is spent game driving across the open plains of Serengeti where we will encounter a large variety of wildlife including the big cats. 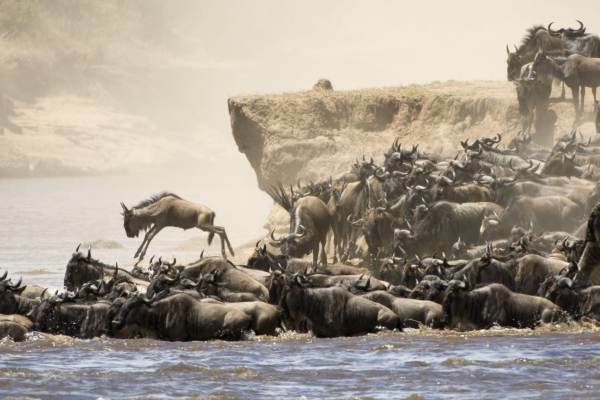 The Serengeti is one of Africa’s most famousreserves and lives up to its reputation for its incredible game viewing. The open Savannah plains and Acacia trees set the scene. Our unfenced camp is an ideal setting to take in the night sounds of prowling hyenas and lions. Today we depart the safari town of Arusha and head for the seaside town of Bagamoyo. We pass the town of Moshi, under the shadow of Mt. Kilimanjaro. Weather permitting we should get a sighting of this iconic mountain. We set up camp and one is able to explore this historicaltown. The beach is a short walk from the campsite. The next part of journey begins with the ferry crossing from Dar es Salaam to the tropical island of Zanzibar. Stone Town is the capital of Zanzibar and has a rich history and one can spend hours wondering the narrow alley ways of the old town. The island has been strongly influenced by tradeand cultural links with the Arabian Peninsula. These historic links are plain to see as one explores the old town. Visit the markets, browse the alley ways and visit the palaces and mosques. Stone Town definitely has a unique culture heritage. Note that the next few days are flexible and you are free to explore on your own. It is recommended that you change money in Stone Town – best rates. Accommodation is in budget hotels and is included in the price. We take our last dip in the Indian Ocean or do some quick local shopping before taking the ferry back to Dar es Salaam where our fantastic beach and wildlife adventure comes to an end.